My comment policy applies at all times and may be changed without notice. 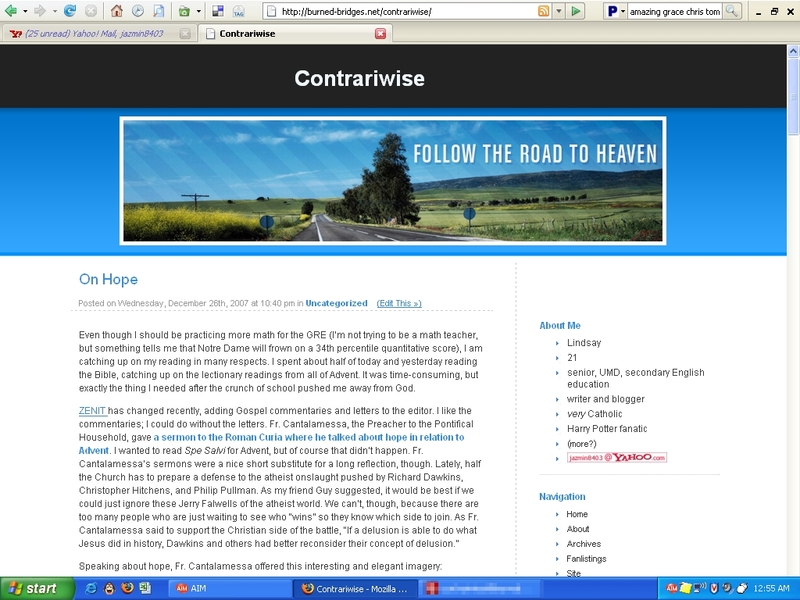 This is the twelfth design and fourth location of my personal blog, which focuses on books, style, Catholic life, and other stuff I like. 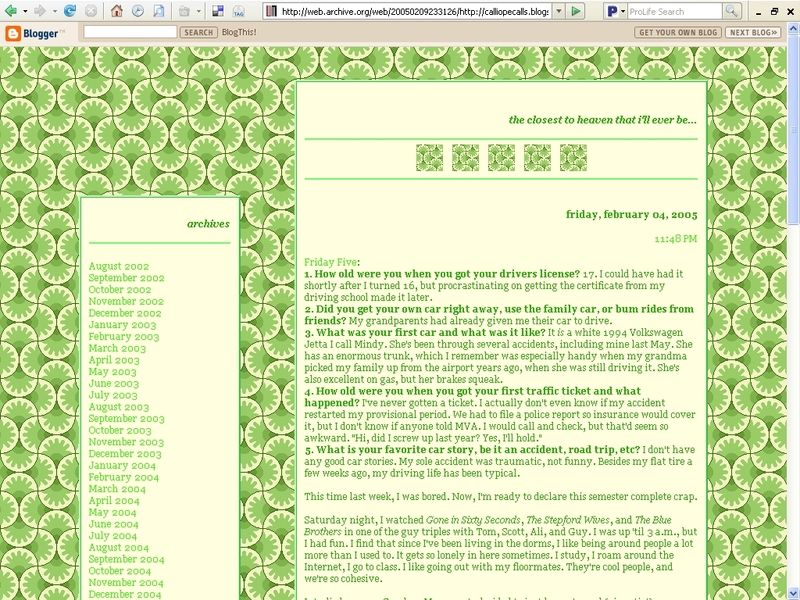 I started blogging in 2002, when I discovered the phenomenon of blogging itself. 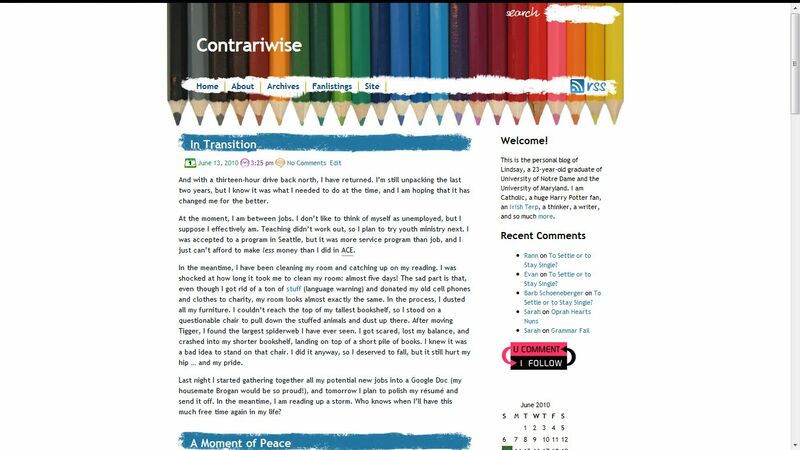 I’ve been keeping a journal since the sixth grade, so it seemed only natural to start blogging as I started spending more time online. 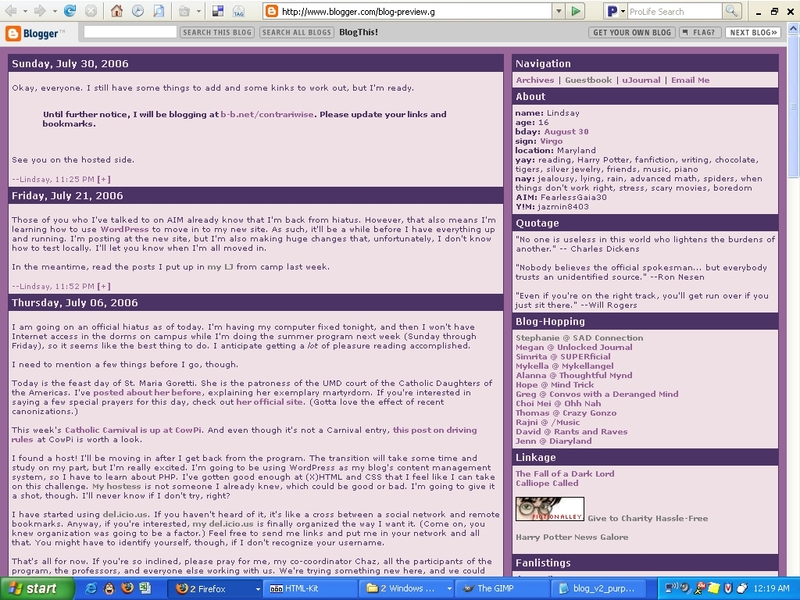 At the time, LiveJournal still required invite codes and I needed a free host. 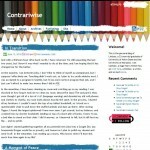 Blogger became my first CMS. 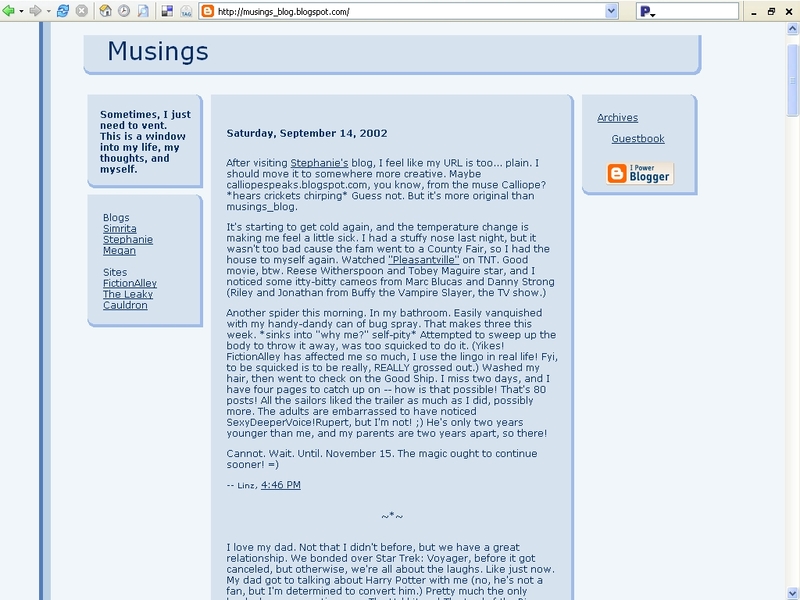 I used Blogspot to host Musings, which I quickly renamed and moved to Calliope Calls. 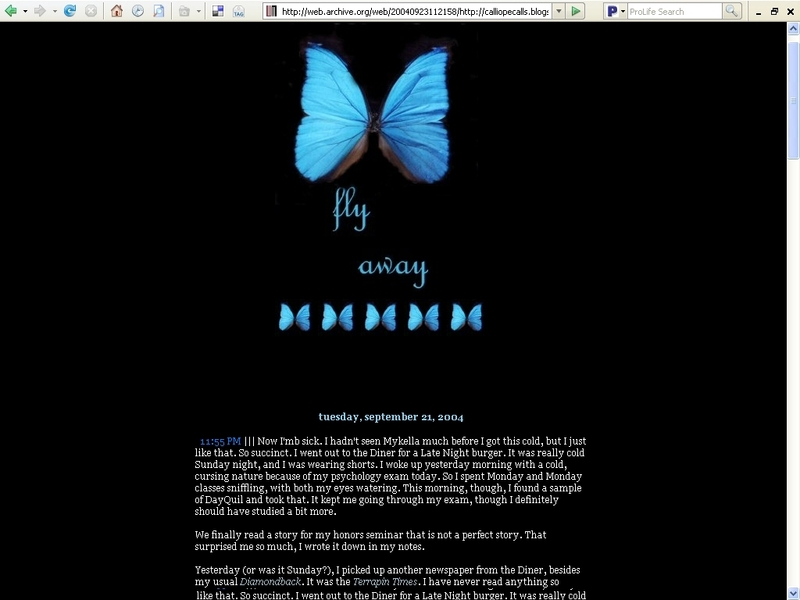 That site remains as a placeholder for any ancient links still floating around. 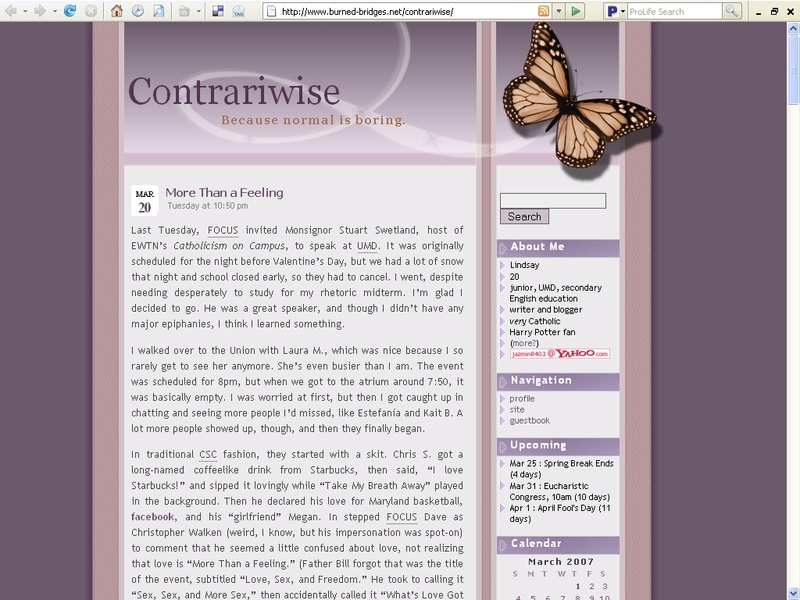 In 2006, I made the switch to WordPress and changed my blog’s name to Contrariwise. Anna of Fuchsia-Revolver.org has been my gracious host since then. 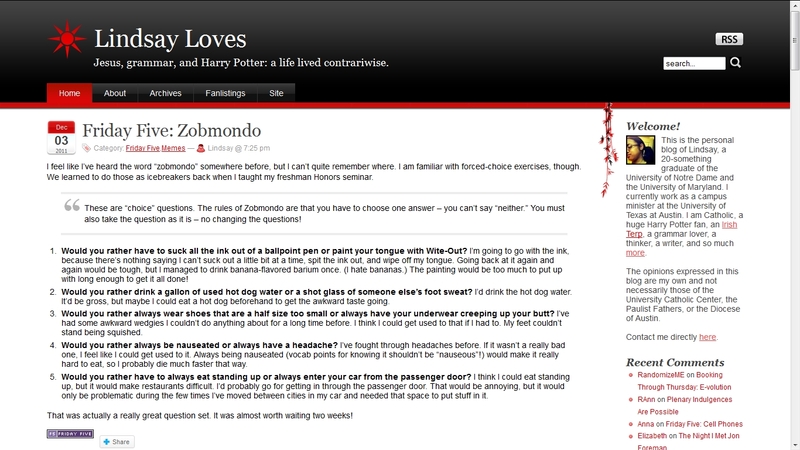 I purchased the domain LindsayLoves.com in July 2011 and renamed my blog to match. This feels like a good place to stay for a while. The third and fourth designs are only available as thumbnails. I tried to make them myself before I actually knew what thumbnails were, so I don’t have full-size images. All other thumbnails link to the full-size version. Reviews posted here at Lindsay Loves may contain referral links to Amazon.com. These links may generate revenue for ATX Catholic (formerly Austin CNM). Lindsay Loves » NaBloPoMo: I’m In!